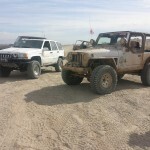 This years Desert Safari hosted by the prestigious Tierra Del Sol Jeep club of San Diego Ca is officially in the books. this year to help TDS where ever we could, like setting up trails, spending our weekends before the event helping to clean the area, etc, etc. This easily could have turned into a nightmare but rather turned out to be a great time had by all. 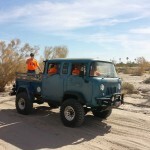 TDS lost its permit to use the off-road park as their base of operations this year due to a environmental inspection of a horned tail lizard which resulted in moving the entire run over to Johnsons Landing in Salton Sea. This is also the first year that TDS did not have an organized run due to the lost permit. 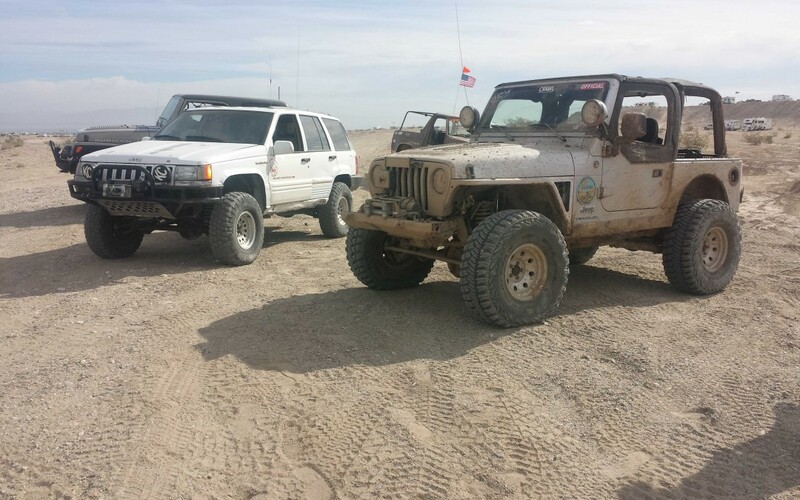 TDS did the next best thing, made another obstacle coarse at Johnsons landing which resulted in a rock garden, Tube obstacle, telephone pole obstacle, tire obstacle and what seemed like the start of the event – a 200 yard long mud pit. 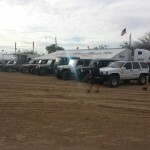 For camping, member Dan Wilson set up a great location at the Salton Sea Trailer Park for all of the HJC members who would attend. Most members were up there a week before the event helping out with TDS and doing whatever we could to help. 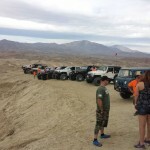 Friday most showed up and duties included setting up course markers up and down Anza Ditch and Palm wash to funnel people from the Truck Haven area, under the 86s to the Johnsons landing area where the immense vendor row was at along with all the obstacles and everything else Desert Safari brings. 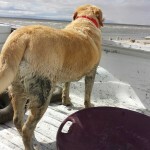 The owners of Johnsons Landing opened up their whole area to us and made everyone feel welcome! Saturday was the main day of the event. Most people snuck out to the Truck haven area to do some trail runs and a few of us stayed behind and gave rides to the Wounded Warriors with the 4-Wheel-to-Heel foundation which led us up to the Truck Haven area as well, exploring the telephone booth, street sign, the notches and the arches. It’s a cool feeling to bring a person that has never really seen the desert out to an area as cool as Truck Haven and see their eyes light up with all the beauty the area has to offer. 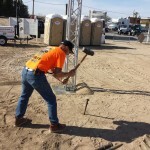 Sunday as most of everyone was heading home, a slew of members from HJC stayed and helped once more with TDS to help clean up, pull signs, etc, etc in a horrible wind/sand storm that came about due to a storm coming into the area. 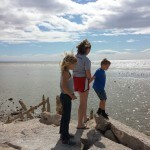 Some members ventured off into Bombay Beach, Niland and Slab City Sunday. 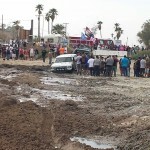 There was obstacle upon obstacle to overcome moving a well known event in a well known area to a completely different area – we are happy to be a part of TDS’s Desert Safari this year in whatever capacity we could help and as always, Jeeping in the desert is always a great time!